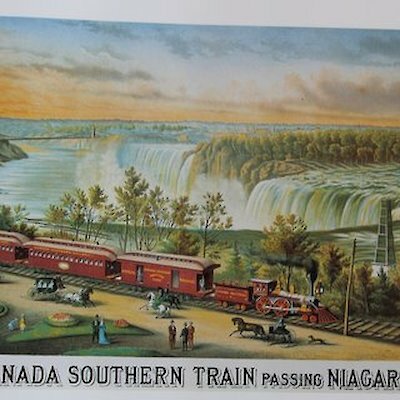 Niagara has hosted a number of first which I will write about in the next few blogs. 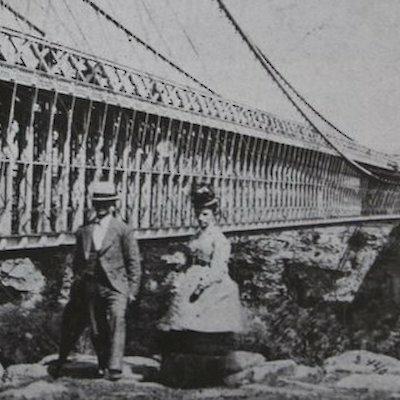 One of these firsts was the building of the world’s first Railway Suspension Bridge by John Roebling over the Niagara River at Niagara Falls between Canada and the United States. Work on this bridge began in 1852 and was completed in 1855.The new bridge accommodated trains, carriages and individuals. It was 250 metres (821 feet) in length and cost $400,000 to complete. The first locomotive of the Great Western Railway, “London”, described as “a mammoth English freight engine” crossed the bridge successfully with no vibration on March 8, 1855. 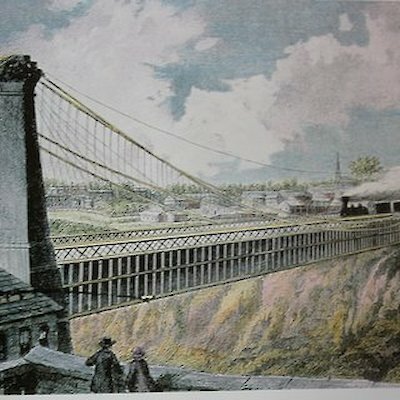 Later Roebling would go on to build another suspension bridge, The Brooklyn Bridge in 1875 over the Hudson River between Manhattan and Brooklyn. The Niagara Falls Railway Suspension Bridge remained until the late 1890’s when it was removed and replaced by a Steel Arch Bridge. This bridge is still around today, although it is closed and unused. It’s beside the Whirlpool Rapids Bridge used by Nexus commuters. Attached are a few paintings and photos of the bridge.